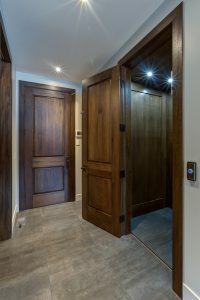 A home elevator installation can make a dramatic difference in the life of a person facing mobility issues while adding to the classiness of your home. In the past, only the rich had home elevators. It was considered a luxury for the “upper crust”. Today, residential elevators have become much more affordable. 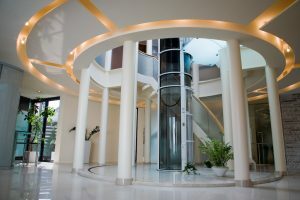 If you select the right elevator company, your elevator can be a beautiful showpiece for an amazingly affordable price. The price of installing a home elevator depends on where you install it and which features you select. At the end of the day, you will need the help of an architect, builder and an elevator installation contractor. While the “experts” will take into account the technical factors, you still need to think about the ideal place to have your elevator. Think about who is going to use the elevator, when they are going to use it and how often they are likely to use the elevator. Make it easy for people to get access and to operate the elevator. If the primary reason for the elevator is to make it possible for someone in a wheelchair to easily use the upper and lower floors, then wheelchair has to be able to get to the elevator easily. You won’t want to have even one or two stairs to get access to the elevator. A wheelchair may also need a little space in front of the elevator on each level of the home. The elevator itself may need to be a little wider to accommodate the wheelchair itself and one or two people to help out. If the people living in the house are getting older, arthritis is settling in or energy levels are not what they used to be, then you can consider a location that requires a stair or two to get access. On the other hand, if the main purpose is to simply increase the value of the home and make it easier to get around your home, you can choose a more central part of the house and make the elevator a beautiful showpiece. Think about how the elevator is likely to be used by the different people who are likely to use it. Will small children be using it? Probably. At least they will be tempted to play with it. You might want to have a clear sight of the elevator so you can make sure they are safe. Do you want the elevator tucked away out of sight? Maybe you don’t want to advertise the fact that you have a home elevator… This is easy to do. If you want, your residential elevator can be behind a closet door. You won’t even notice it unless you want to use it. You might have some needs today, but are they likely to change five or ten years from now? Think about the ideal location for your elevator as your needs change into the future. It’s a good idea to avoid having the elevator in an awkward place. The definition of awkward would depend on who you are and who and when you are likely to use the elevator. If your aging mother is going to be using the elevator, you might want to enable her to quietly sneak away to bed while everyone else is partying. On the other hand, an elevator opening up into a kitchen may not be your vision of an ideal kitchen. Now, think about the elevator itself. Is it important that the people using it be able to easily see how to access it? Do they need tactile, visual or audible queues for safety? Does the space you are thinking of enable you to provide the support they need? These are practical points you will run in to after the elevator has been installed. It’s best to visualize it now and make the necessary provisions. Do you need extra space to install fail-safe systems? What if the elevator gets stuck? What if the power goes out? Will you need extra space for safety and repair equipment? If physically challenged people are going to use the elevator now or in the future, it would be nice to have it close by rather than in some far away place in the house. Even if the people using it are perfectly able, it might still be a good idea to have the home elevator installation more centrally located. Make sure there is plenty of space for people to get access to the elevator according to their requirements. Maybe you need to leave a little extra room so it’s easy to turn the wheelchair around. 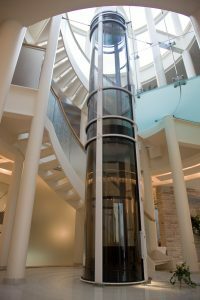 As you can see, there are many considerations when choosing a place for your home elevator installation. As a manufacturer of quality residential elevators we have a lot of experience working with new homes as well as retrofitting existing homes. Give us a call and we’ll be happy to help you figure out where your elevator should go and find a nice balance between price and convenience. Call now for a free consultation (778) 484-0064.